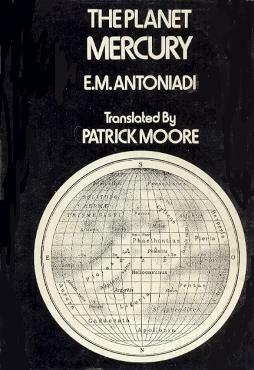 Richard McKim (Peterborough, England) has written to us regarding the non-chess activities of a little-known player, about whom he has written the only biography: ‘The Life and Times of E.M. Antoniadi’ in the Journal of the British Astronomical Association, volume 103, No. 4, pages 164-170 (1993) and volume 103, No. 5, pages 219-227 (1993). Source: La Stratégie, 24 July 1907, pages 258-259. 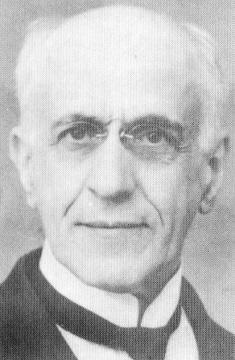 On page 132 of the June 1922 La Stratégie Antoniadi claimed that he had an equal score against Marshall (‘two games won, two lost and three draws between 1902 and 1907’) and that this success was almost entirely due to his study of Tarrasch’s books. 22 Rxc6 Nxd4 23 exd4 bxc6 24 h3 Rd6 25 Nxc6 Qe4 26 Rc1 Rg6 27 g4 h5 28 Qc2 Qf3 29 Qb3 Qf4 30 Qc3 hxg4 31 Ne5 gxh3+ 32 Kh1 Qg5 33 White resigns. 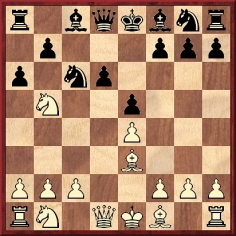 Antoniadi annotated the game on pages 247-248 of La Stratégie, 24 July 1907, and an English translation was published on page 169 of the September 1907 American Chess Bulletin. Tarrasch’s notes to the game in the Berliner Lokal-Anzeiger were reproduced on pages 187-188 of Traité du jeu des échecs by J. Taubenhaus (Paris, 1910). 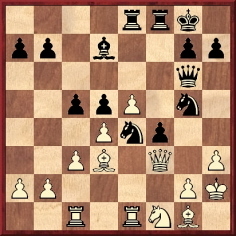 Tarrasch concluded: ‘Apart from the erroneous opening, M. Antoniadi conducted the game in absolutely masterly fashion’. A feature on ‘Mr. 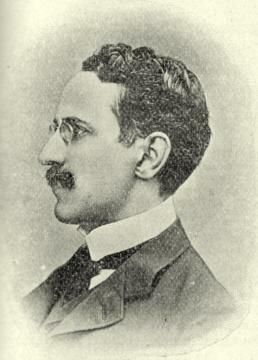 E.M. Antoniadi, F.R.A.S.’ [Fellow of the Royal Astronomical Society] on pages 413-415 of the September 1907 BCM reported that he had studied Staunton’s Handbook in 1888 and, later, Morphy’s Games (presumably Löwenthal’s volume). 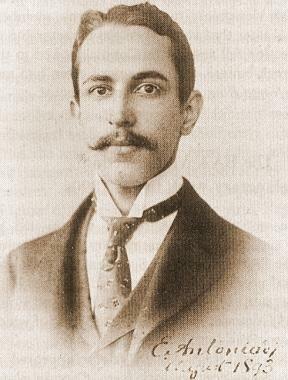 ‘In 1893 he went to France, winning several games of Sittenfeld and Janowsky, although losing the majority with both these players, and ten years later he began to study the game seriously.’ His year of birth was given as 1871. 32…Rxe5 33 Bxe8 Rxe1+ 34 Kh2 Be4 35 White resigns. Source: La Stratégie, 15 July 1900, pages 207-208. 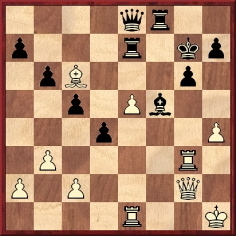 8 N1c3 axb5 9 Nd5 Rb8 10 Bxb5 Bd7 11 Bb6 Qg5 12 Nc7+ Ke7 13 O-O Nf6 14 Qd3 Nd4 15 f4 Qh5 16 fxe5 Bxb5 17 exf6+ gxf6 18 Qxd4 Bg7 19 Rf5 and wins. Source: BCM, July 1905, page 261. The game was played in that year’s Café de la Régence Championship Tournament in Paris, which Antoniadi won jointly with J.M. Lee and P. Clérissy. 1 e4 c6 2 d4 d5 3 e5 Bf5 4 Bd3 Bxd3 5 Qxd3 e6 6 f4 Qb6 7 Nf3 Nh6 8 Nc3 Qa6 9 Qxa6 Nxa6 10 a3 Be7 11 b4 Nc7 12 Bd2 a5 13 O-O axb4 14 axb4 Kd7 15 Na4 Ra6 16 Nc5+ Bxc5 17 bxc5 Rha8 18 Rxa6 Rxa6 19 Ng5 Ke7 20 Rb1 Nb5 21 c3 f6 22 Nf3 Kd7 23 h3 Nf5 24 Kf2 Ra2 25 g4 Nh4 26 Nxh4 Rxd2+ 27 Ke3 Rc2 28 Kd3 Rxc3+ 29 Ke2 Rxh3 30 Nf3 Nc3+ 31 White resigns. Source: La Stratégie, July 1919, pages 146-148. 43…f6 44 c4 dxc4 45 f5 Ne5 46 White resigns. Source: La Stratégie, July 1919, pages 149-150. 1 d4 f5 2 c4 Nf6 3 Nc3 e6 4 a3 Be7 5 e3 O-O 6 Bd3 c6 7 Nf3 d5 8 c5 b5 9 Ne5 Ne4 10 Ne2 Bf6 11 b4 a5 12 f3 Ng5 13 Bd2 Bxe5 14 dxe5 Nf7 15 f4 axb4 16 axb4 Rxa1 17 Qxa1 Qc7 18 O-O g5 19 Nd4 g4 20 Be1 Na6 21 Nxe6 Bxe6 22 Qxa6 Bc8 23 Qa2 Nd8 24 Bh4 Kg7 25 Bf6+ Kg6 26 Qf2 Qa7 27 Qh4 Nf7 28 Qxg4+ Resigns. Source: La Stratégie, July 1919, pages 151-152. 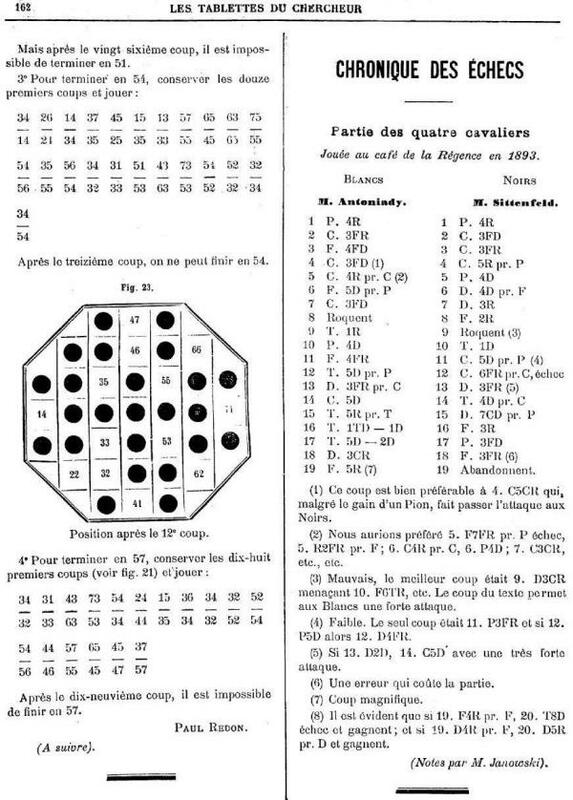 Antoniadi’s first notable incursion into chess history and literature was an article entitled ‘Souvenirs inédits sur Paul Morphy’ on pages 289-292 of the October 1916 La Stratégie, in which he presented C.A. Maurian’s reminiscences, on the basis of conversations and correspondence between the two men in 1911, the year before Maurian died. On page 20 of the January 1922 issue Antoniadi wrote a complimentary review of Capablanca’s Chess Fundamentals, but the alleged faults he listed must give rise to doubts about his judgement. For example, demonstrating ignorance of British vocabulary he complained with regard to the game between F.F.L. Alexander and Sir George Thomas that Capablanca was mistaken in his use of the word ‘brackets’ (‘A la page 98, l’auteur confond les crochets avec les parenthèses.’). Such a criticism would have been worthlessly petty even if it had been factually correct. Controversy resulted from a long general article ‘Considérations sur les Grands Maîtres de l’Echiquier’ on pages 125-134 of the June 1922 La Stratégie. To defend Morphy’s reputation Antoniadi felt obliged to attack not only Staunton (‘We have no praise to offer for either the strength or the character of Staunton, who had none of the qualities of the English nation’) but also three authors of Morphy monographs (Falkbeer, Maróczy and Sergeant), whom he accused of being jealous of Morphy and of trying to belittle him. 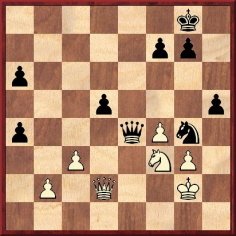 It is unclear why Sergeant considered Antoniadi already deceased at that time, but that was still the belief in chess circles in the 1980s. 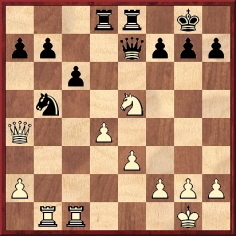 Page 11 of Jeremy Gaige’s 1987 book Chess Personalia gave, in Antoniadi’s death-line, ‘c1930? FRA’, although the 1994 edition (not sold commercially) revised this to ‘c1944 FRA’. 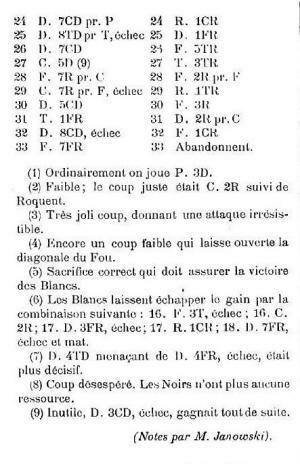 Below we give a victory with Antoniadi’s own annotations, translated from pages 66-67 of L’Echiquier Français, July-August 1909. It was a casual game played at the Café de la Régence. 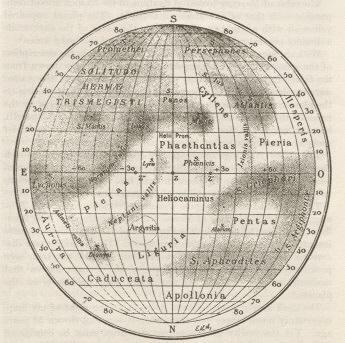 Acknowledgment: The first and third photographs of Antoniadi are from Dr McKim’s above-mentioned article and are reproduced with the permission of the Journal of the British Astronomical Association. 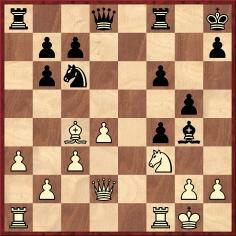 17...Bxf3 18 Rxf3 Ne5 19 Rh3 Qd7 20 Bb3 Qxh3 21 dxe5 Qe3+ 22 Qxe3 fxe3 23 e6 f5 24 Rd1 Rad8 25 Re1 Rde8 26 Rxe3 Re7 27 Re5 h6 28 Kf2 Kg7 29 Kf3 Kf6 30 Re2 Rd8 31 Ke3 b5 32 g4 f4+ 33 Ke4 c5 34 Bd5 Rd6 35 Rf2 Rexe6+ 36 Bxe6 Kxe6 37 Rf3 c4 38 Rh3 Kf7 39 Ke5 Re6+ 40 Kd4 Kg6 41 a4 Rd6+ 42 White resigns. Source: Manchester Guardian, 11 August 1905, page 11. 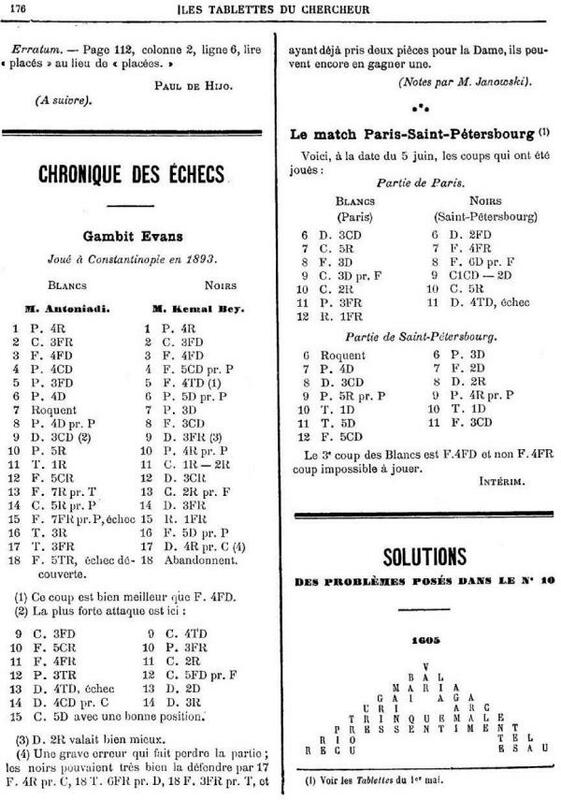 The score of the game Tartakower and Weinstein v Marshall and Antoniadi (Paris, 15 July 1907) was published with detailed notes on pages 115-117 of the March-April 1908 Wiener Schachzeitung. Latest update: 15 June 2012.